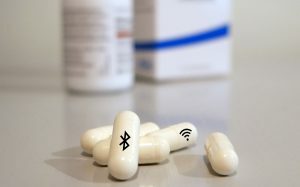 The FDA (US version of the MHRA) have approved a trackable medicine, by trackable medicine I mean a drug which has a tiny little transmitter in it, which uses stomach acid as a catalyst to power a little bluetooth type transmitter which sends out a signal which a patch the patient wears which then sends the data to a mobile phone app. The potential for this technology is amazing, so many possible applications. The potential I see for a few select groups will be life changing, for example older people, senile, dementia, your caregiver or family could be notified if you miss your medication and it would give early warning about a potential slide in your behaviour. The mentally ill such as bipolar or schitzophrenic it would be able to notify your health care team and doctors that you are skipping your medication or not taking it. What about those with eating disorders, it could be placed in food and used to determine if the food has made it to the stomach to be digested. There are also those like myself who are forgetful as hell, and need reminding to take daily medication, and sometimes may have taken it twice. The applications are endless, but these are the top one I’ve thought of over the last few days since I read about this technology. The first approved drug is called Abilify MyCite (aripiprazole) which is an antipsychotic, used to treat schizophrenia and bipolar disorder, the tracking system is centred around a tiny ingestible sensor about the size of a grain of sand, which is called an Ingestible Event Marker (IEM), and is made from human-safe levels of copper, magnesium and silicon. The IEM is activated by during digestion when it comes in contact with stomach acids, and relays information a patch which the patient wears on their chest. The patch then transmits the data to the patients smart phone, where they can check it along with approved medical personal, family or even friends. There is currently no research to show it helps with patient compliance alone, but I would imagine the speed at which family, medical staff and friends can respond to missed doses will help get those on track lots quicker before there is an episode / breakdown (not sure if that is the right word), so it can’t be bad. There are some concerns about giving it to mentally unstable people, who may already suffer from delusions and paranoia, and suggestions that schizophrenics may not have been the best place to starts but its the first area (mental health) I thought about, but maybe those with parkinsons/dementia or similar illnesses which are at stages medicine can treat them would have been a better trial. There is loads more information in this Science Alert Article, I have only read a few articles in the BBC, Mail and some others, so the science one is quite in-depth and well worth a read. I was just reading an article about Ridley Scott saying “I think the beast (Alien) has almost run out, personally”, its not exactly clear if he means the current Alien Arc is tired (storyline), and they need to jump forward, of if he’s suggesting there is no where else for Alien and its over for another decade or two until its rebooted. He could also mean that he’s out of idea’s and doesn’t know what to do next. I would hate to think this is what he meant, since many of his movies are easily deep enough to become trilogies. I could think of 100 different ways to take Alien from Alien: Covenant Arc. I do like the idea that the David droid and not the creators are responsible for the modern day Alien Xenomorph, and I’m somewhat pissed off that the creators was never explained nor explored beyond them being killed wholesale. He did say he’s been doing lots of TV and Movies, with 6 movies coming out this year alone, as a result despite him previously saying his Alien Arc would be a Quadrology all these other projects and the slightly negative connotations by “almost run out”, and Warner not confirming any future films, it could actually be the end. If this happens, I think I’ll skip the next reboot, since this story has been left wide open at the end, and I hate films which do that. The Golden Compass is the biggest culprit which always comes to mind. 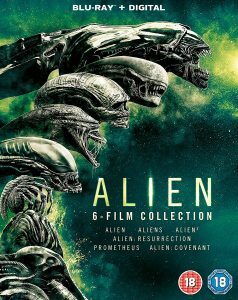 The Alien 1 to 6 Box Set is high on my Christmas List. How would you like to turn to £52 / $60 into around £100,000,000 (One Hundred Million) ? 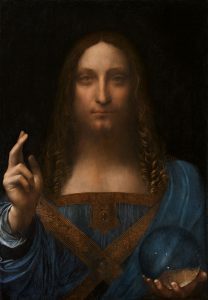 Int he late 1950s someone purchased a piece called the “Salvator Mundi” which means roughly “Savior of the World” for around £52 at auction. At the time it was suspected or rather hoped it was a Leonardo Da Vinci but had been classified as being by one of his students or assistants rather than the old master himself. Originally thought to be by Giovanni_Antonio_Boltraffio, but over a decade of intensive research by experts in the field, they have now declared it a genuine Da Vinci, and transformed it from the £52 (approx £450 in todays money) into £100,000,000 dollars. There are reports of a few times its changed hands, but the prices seem to have varied wildly with no fixed points. Given it changed hands as a Boltraffio rather than a Da Vinci it doesn’t much matter. You can read some of the prices in this article. It does seem the current owner has held it since the mid-2000s and has spent the last decade having it verified by the experts in the old masters. I tried to get an estimate on how much money has been spent on trying to authenticate the paintings origins, but I came to a dead end multiple times. I can’t imagine it was cheap and hell of a risk too. What is interesting is, this could well be the ONLY Da Vinci painting held by a private owner, the other 19 paintings are all in museums, this fact alone means this truly a unicorn in the painting world and may drive the premium by as much as £50,000,000 extra. One website claims there maybe a conglomerate of 1,000s of people some with deep pockets, some not so deep who will club together and buy shares using blockchain technology, which could cause a major upset if it succeed. You read about how Blockchain technology is affecting the art world in this Forbes Article. I was talking to someone today about saving money, and building a cash reserve. A cash reserve is what I call a slush fund, which is an old habit. 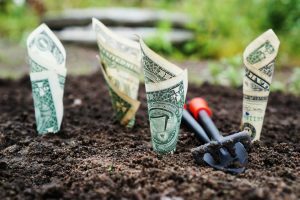 Its a back up fund, which sits between contingency, and savings. I have day to day money, contingency for when potentially expected but unwelcome things go wrong, then slush fund, then savings and finally investments. The slush fund is sort of a side step, in thats its not designated for disaster, its almost like free money which can be used when in a jam, or when I want something, any use I want. In this particular conversation I was explaining my rather simplistic take on the Aggregation of Marginal Gains, this is the theory that if you improve / reduce / increase / save just 1% on everything you do, the sum total will end up being impressively large. The first change I made on this journey was to pay my household bills and fuel on a cashback card, originally it was the Santander 123 Cashback Card, now I use an American Express Card which offfers a flat 1.5% (the new AmEx offers 1.25%). Looking at just my basic (off the top of my head) bills. Already £200 for basically doing nothing I wasn’t already going to do. If you use Cashback Sites and Loyalty Schemes you can probably add another £50 on there, Shell Card, Sainsburys Card, Waitrose Card, Etc. Then there are shop based cards such as the Sainsburys Credit Card, Asda Credit Card and others. Someone (who works for one such company) told me about a trick where you close the card after 18 months, and reapply after 2 months so you get the new user deals and bonuses. Amazon is a big spending point for me, as a prime member, I make a point of choosing No Rush Delivery which gives me a £1 credit towards music and movies. I currently have about £40 of Credits which I use to buy any music or books I want to read. On top of this I use a cashback card for purchases which adds another £50-60 a year on to my total. This spend covers new phones, bits and pieces for both personal and work, christmas and birthday presents, every day items, you name it I buy it from Amazon. Looking at my credit card cash back totals for this year, and we’re 9-10 months in and I’m approx £430 up just on cards, if I account for cashback sites with car insurance, credit card applications, mobile phone contracts, broadband, gas and electric swaps, I must be at least £1,000 up in the slush fund. Due to surgery and general life taking over, getting another car has been put on hold sadly, I’m still shopping but taking my time, if the right deal comes, I’m ready. 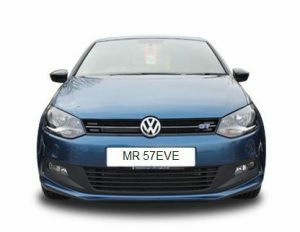 However as I mentioned on my blog previously, I was added on to my mums insurance policy when I was learning to drive. I documented this process here for extra practice on the week or two before my test, but now her insurance is up for renewal, I said I’d find a deal. What I have found is nothing short of bizarro. When my mother said she would add me after my car turned into a lemon, as a provisional driver it added around £40 to my mums insurance policy for 8-ish months of cover. When I passed my test I notified the insurance to reflect I had passed and it cost nothing extra for 7-ish months cover as a new driver. Seemed like a good deal from Aviva. Aviva have increased the policy renewal quote with me as a named driver by £120 over last years policy. This is technically in-line with the average reported 18% raise for this year. However unlike most insurance companies Aviva maintain their quotes for 60 days. I did quotes at various times on the run up to renewal, these are approx £80, £59, £30 cheaper. The price appears to slowly increase the closer you get to your renewal date, the quotes at 80 days are a good £170 cheaper than renewal, at circa-60 days around £100 cheaper, now with a few days all the quotes are significantly over the renewal quote which was generated at 28 days before renewal. An interesting quirk is, in the 80 and 59 days quotes, it was cheaper for my mothers insurance if I was a named driver than if she was on the policy alone. This quirk was all but gone by 30 days before renewal and the complete opposite by 20 days before. The quote from 59 days before, with me added is approx £90 cheaper than her current renewal, and the quote is still valid. When I started to do lessons, I found out about the Aviva Drive App, its essentially blackbox / telematics via your mobile phone. I completed the first time as a learner driver and actually past the 200 mile marker on my driving test with a score of 9.6/10. My mum completed the 200 miles score and achieved 9.4/10, I also completed the 200 miles after I passed with a score of 9.3/10 which all 3 scores would offer a significant discount from Aviva, in this case its 28% for policies over £400. There are now some strange quirks which have presented themselves while getting quotes off everyone. The most unusual is when it comes to Black Box insurance, which my mum shouldn’t be eligible for. Least most companies who offer box policies exclude her due to age and time driving. This is slowly changing and blackbox policies will be available for everyone. I called Aviva about this and got them to add the scores to the database for the renewal. I had to email them the proof of the scores. This resulted in the premium dropping like a rock, but more on that later. This is a stand out example, as an o2 customer I thought I’d try o2 Drive Insurance given the Tesco Clubcard Insurance Discount is quite good and o2 says they offer excellent deals to o2 Customers, which does indeed offer her a black box policy so the discount should be outstanding. 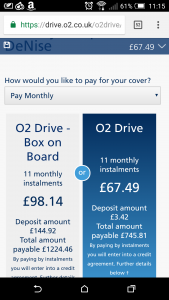 The o2 Drive Black Box policy is almost a MASSIVE £500 more expensive than a standard policy, as you can see in the image to the right. I tweeted to o2 to point out their inflated pricing and the madness that their Black Box offering is of the top of my head about 40% more expensive than their standard policy. Initially I was told different insurers offer different quotes, I queried if o2 Drive was a comparison service and not an actual provider, which I was told to contact Customer Service they are an insurer and both policies are with o2 Drive. I’m always cautious when companies don’t want to discus things in public as it usually means the rug is about have something swept under it. As it happened their quotes both monthly and annually was no where near the other quotes I had received. I also have no interest in a blackbox policy, so I have not bothered to follow this up with o2. However one would hope they fix this anomaly. Aviva’s taking the Aviva Drive App score into account reduced the cost of the insurance renewal quote so half of their 7 day before renewal quote an a full 28% less than their 28 days renewal quote (on the letter). The final price is actually less than the insurance for my mother alone in back in 2010, so its well worth doing the Aviva Drive App. Asda could learn a thing or two about roll backs. 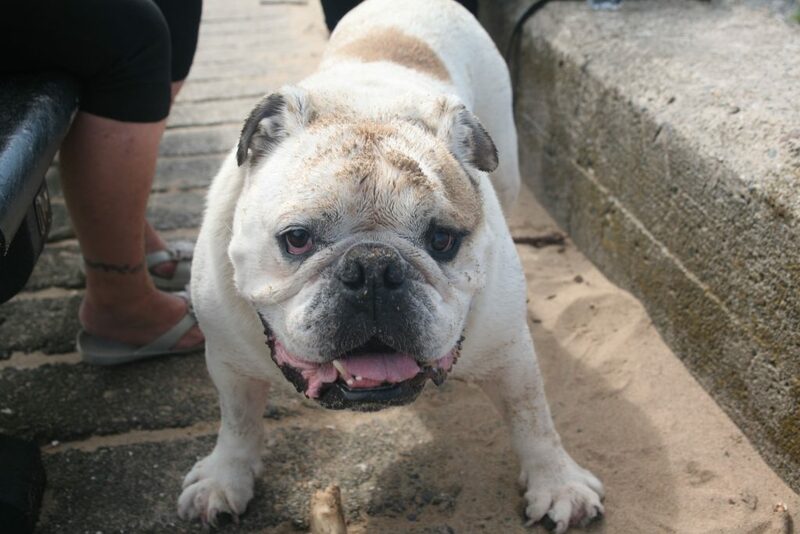 I’m not going to be posting much for a while and will be limited to urgent messages, my Bulldog, Bugly or “Menace” to the Vets or “Just Bumble” to Kennel Club has died. I hope you can appreciate this difficult time, means I’ll be slower than usual. 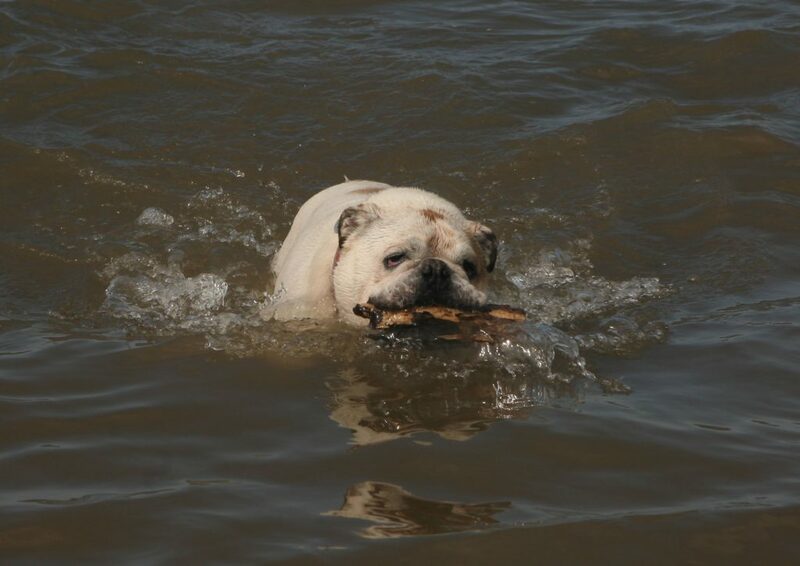 The above picture was taken Saturday 2nd at the seaside one his favourite places, he was in good spirits and playing with logs (oversized sticks) but at 9 and half years old, for a bulldog he was older than Methuselah.